Conceived in plaster in October 1912 and cast in 1939 in an edition of 7 by Anton Zwemmer. Anonymous sale; Christie's London, 13 June 1986, lot 291.
with Mercury Gallery, London, where purchased by the present owner. H. Ede, A Life of Gaudier-Brzeska, London, 1930, p. 205, another cast illustrated. J. Cournos, Autobiography, New York, 1935, p. 257, another cast illustrated. 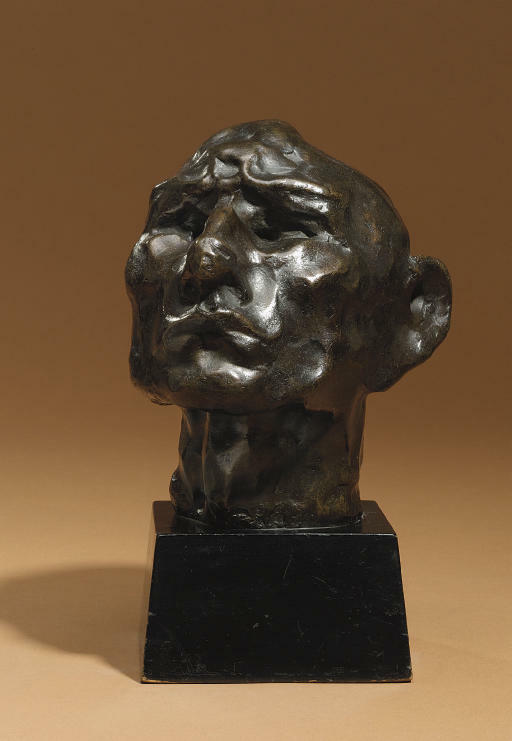 H. Brodzky, Henri Gaudier-Brzeska, London, 1933, opposite p. 66, another cast illustrated. M. Levy (intro. ), Gaudier-Brzeska Drawings and Sculpture, London, 1965, p. 29, no. 75, another cast illustrated. R. Cole, Burning to Speak The Life and Art of Henri Gaudier-Brzeska, Oxford, 1978, pp. 28 and 65, no. 18, another cast illustrated. R. Cole, Gaudier-Brzeska, Artist and Myth, Bristol, 1995, p. 59, another cast illustrated. E. Silber, Gaudier-Brzeska Life and Art, London, 1996, p. 257, no. 30, pls. III, 25, 26, another cast illustrated. Leeds, Temple Newsam, Roy de Maistre and Henri Gaudier-Brzeska, June - August 1943, no. 59, another cast exhibited. The artist's friend, Horace Brodsky, described this work as a satirical self-portrait.